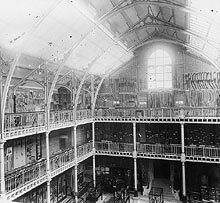 Most of the objects in the Pitt Rivers Museum's collections have a reasonable amount of information known about them (in museum circles such information is known as 'documentation'). This information would usually comprise the place from which the object was obtained (its provenance), what type of object it was, who collected it and when. Many objects are actually better documented than this. All the museum documentation was added to a museum catalogue, which has been computerised since the 1990s. This kind of information has been analysed and a series of statistical reports have been prepared and are available here. Because the Relational Museum project concentrated on collections acquired between 1884 and the end of 1945, the statistics only deal with this period. This looks mainly at a statistical analysis of the collections from different parts of the world. Statistical information about all the individuals associated with the collections. Most objects have some information about the people who have been associated with it during its history, field collectors, other owners or the names of the donors, lenders etc. A single object can have many individuals associated with it. 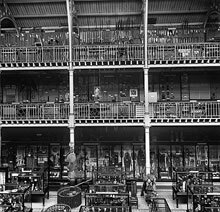 Each of the named collectors donated substantial collections to the Pitt Rivers Museum. The following statistics provide information about each collection separately and also comparatively. Statistical information is provided within the different sort of statistics listed above about the types or classes of objects collected from various countries or in various collections. Such a system began when the Museum was founded as all the displays were arranged typologically (that is displays of weapons, or tools or arm ornaments) rather than by provenance. All objects within the museum are identified as being of one or more types or classes, that is a club used for hunting would be defined as both weapon and hunting. Please bear in mind when reviewing such statistics that the majority of objects are identified as at least two types or classes which are not mutually exclusive categories.